Does NC really have more ADHD than any other state? - ADHD Women: Born to be Extraordinary! Does NC really have more ADHD than any other state? According to the Centers for Disease Control North Carolina has the highest prevalence of ADHD in the United States for youth ages four through seventeen (15.6%). Nevada, by contrast, reported only 5.6% prevalence of ADHD among the same age group. Does the population of North Carolina really have three times the number of kiddos with ADHD? Or is there something else going on here? Dr. Stephen Hinshaw believes there is more to the picture than statistics reveal. 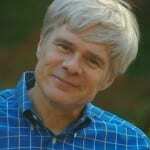 In a presentation at the 2012 CHADD conference in San Francisco, Dr. Hinshaw told an rapt audience that his UC-Berkley psychology lab showed that the highest prevalence of ADHD among children was found in states that had implemented achievement-based testing for promotion from one grade to another. In other words, when children were required to pass a state-mandated test to go to the next grade level, more ADHD was discovered by parents (as the likely culprit for failure). According to Dr. Hinshaw, most of those states were in the South. The states reporting the highest prevalence of ADHD were North Carolina, Louisiana and Alabama (15.6%, 14.2% and 14.3% respectively). 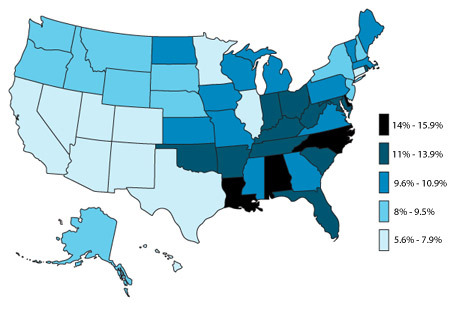 And other southern states also showed high prevalences of ADHD as well (see chart). So, ADHD diagnoses are not correlated to geography as much as they correlate to political influence on school testing. An interesting finding that has far-reaching implications for diagnoses for adults as well as children, since adult diagnoses are assumed to be residual aftereffects of childhood diagnoses. Hmmm.. will we ever have accurate statistics about ADHD? Hard to say, but the stats are obviously misleading in 2012.